Draw a section of a skeleton and render it with brush and ink. 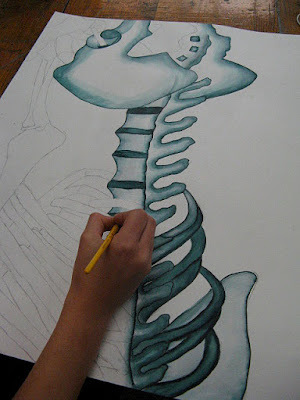 The student will use observational skills to draw a section of the skeleton model. They are to think in the terms of shape and form. 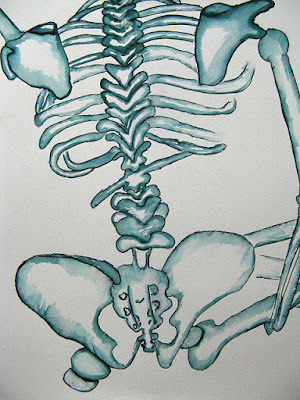 The student will use a water base marker to outline then apply a wet brush to render the bones. The student will demonstrate principles (unity, contrast, proportion, and balance) and elements (line, form, shape, and value) of art. The skeleton model will be set up on the table in a certain position. 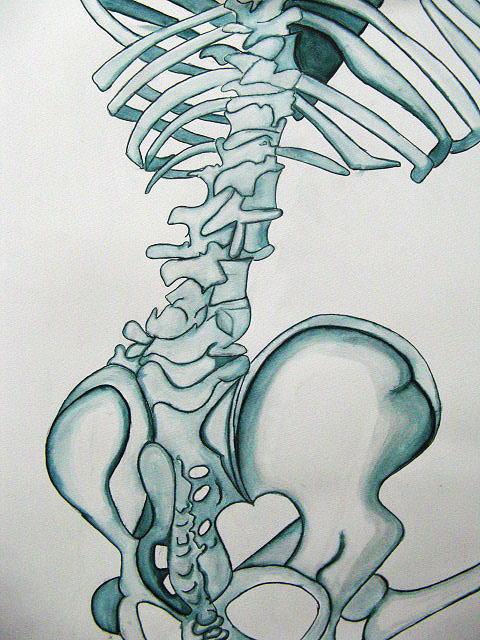 The student will choose the section they wish to draw. 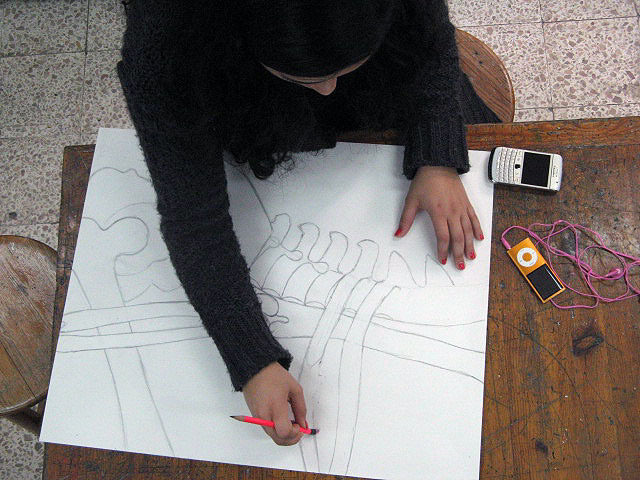 The student will use a pencil to create the initial line drawing. The student will use the water based marker to outline the bones. The final step will be to use a brush and water to dilute the inked lines for shading. NOTE: The more water applied and thiner the line the lighter the value. The less water applied and thicker the line the darker the value. Step 2 and 3-adding the lines and rendering with brush and water. I encourage my students to work in sections as not to smear the lines form the marker. When I presented the project many felt overwhelmed by the task, but as you can see they are doing just fine. Farida's ready to add some more lines.Working on a project upside down proved to be an abstract concept for a couple of students. Jomana drawing some large ribs. What areas of your project could you improve in? 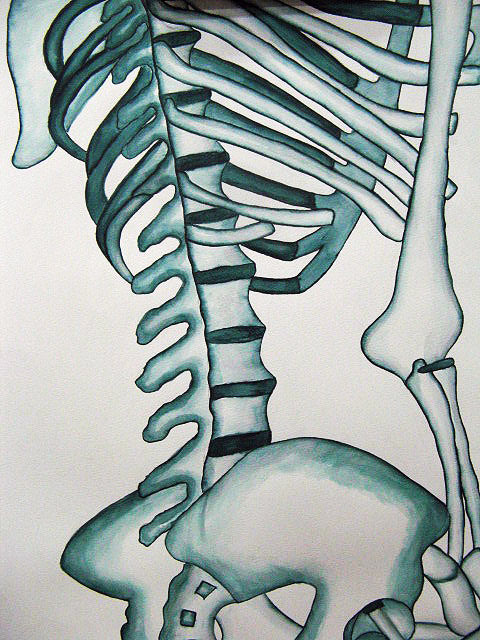 What does a skeleton mean to you? This is a great lesson for High School. Can you please tell me what kind of drawing activities do you do with your students in order to practice observational drawing? 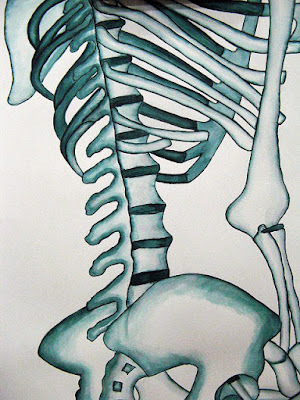 Also, the skeleton that I have is in one piece and can't be taken a part. I am just curious about setting up. 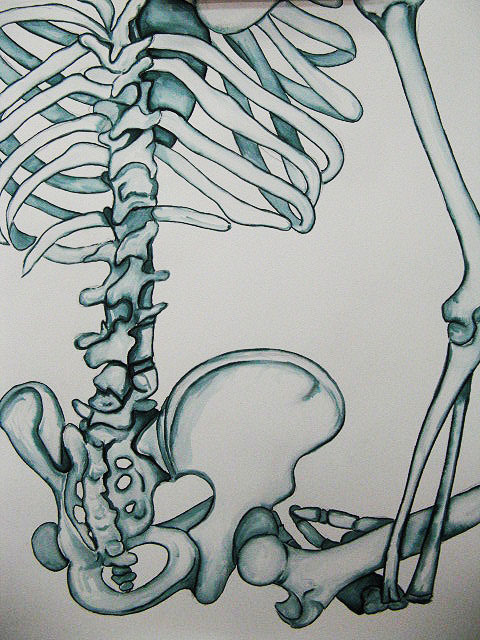 Did you just lay the skeleton on a table? Thanks ahead of time for answering these questions. Hi Sepi, We do several life drawing lessons...from students being models, to hands, to still life, whatever is laying around. The lesson can be timed or open-ended. 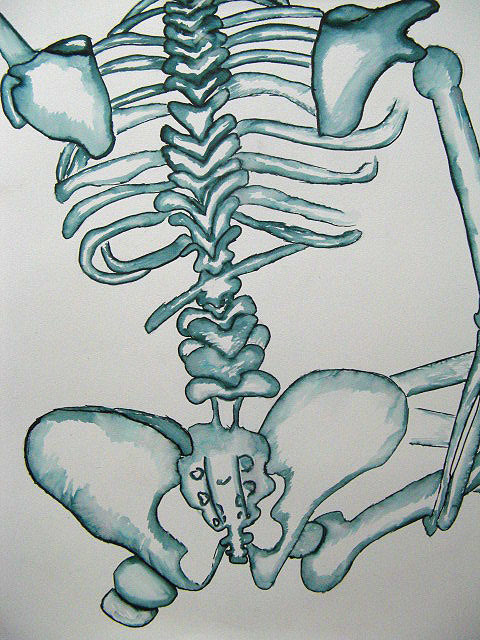 The skeleton is one-piece, the kids had to chose a section to draw. The skeleton sat on a chair on top of a table. Hope this helps. Thank you for sharing your lesson. I am planning on doing this with JH students, and your directions are clear and well written. Sorry for the delayed reply. Thanks Fred! How did this work for your students. This is very simple idea of getting down to life drawing lesson for the beginner's high school art class. I guess this will be the beginning of lesson that I would try this out with my students and then I will do the students taking turns as models including proportion ratio of human body then. Thank you for your clear instruction. Sorry for the delayed reply. Thanks for the comments Patricia. Let me know how this worked with your ideas in your class. 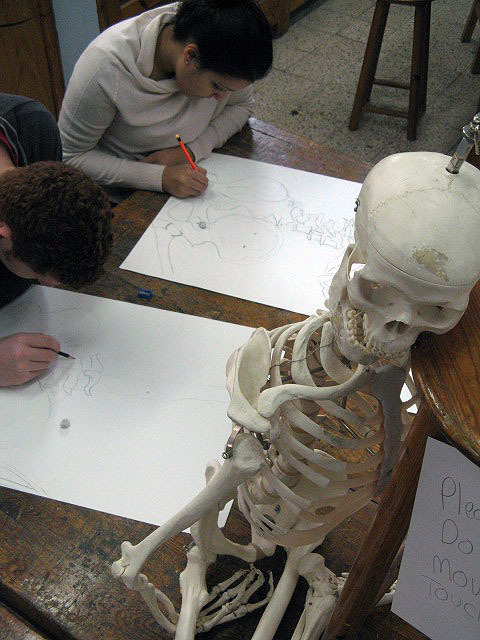 I am starting to do this anatomy lesson with high school students for the final. I showed your students samples to my students hopefully, I can start to share with you two weeks later then. I really like all of the articles, I truly loved, I'd like more info relating to this, top 5 schools in delhi simply because it's very good., Many thanks with regard to discussing.